I am a fan of play-based learning. It is a concept I grew familiar with only after becoming a parent and the idea appealed to me. Children should have the freedom to observe and play, experience and explore at their own pace and that should form the basis of all learning in their early years. Not only do children learn a lot this way, but it is a whole lot more fun too. 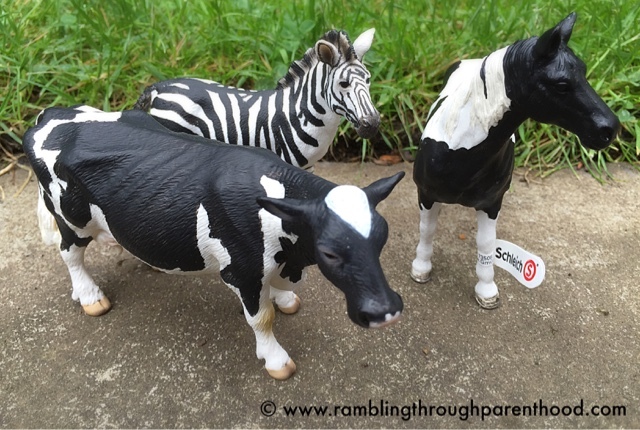 Schleich have always been known for their excellent toy figurines and playsets. They have now developed a guide to educational play and development in collaboration with renowned child psychologist Dr Amanda Gummer. Like all parents, I try my best to engage my 5-year old son in imaginative play. There are times, however, that I, like all parents, get stuck for ideas. This is where the Schleich guide comes in handy. It has lots of ideas for encouraging imagination and early language skills. It is also full of hints and tips on how to get the best from playtime with your children. This is the first time I came across the balanced play diet, and how children should engage in a variety of play activities to aid their development. 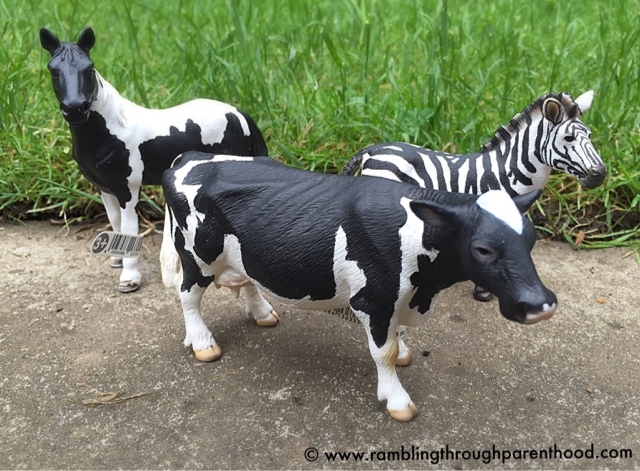 Schleich's life-like figurines, with their incredible attention to detail, can form the basis of a lot of fun learning. They are a great size to fit in your handbag when out and about, and can be on hand when you need something to beat boredom. We took our cow and horse to the park yesterday, and had lots of fun pretending we were on a farm. We had a go 'feeding' them and then J had a go running around with the horse - his version of horse-riding. I am keen to see what more he comes up with. 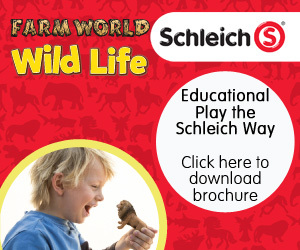 You can pick up a Schleich figurine for as little as £2.99, either from their website or from Smyths Toy Superstore. Disclosure: We were sent a selection of Schleich figurines for taking part in this project, and I was compensated for my time.